Primary sponsor Step One Creative, located at 317 West First Street in the Stevedore Lofts in Oswego, New York, offers full-service advertising design, brand development, public relations, copywriting, web design, and media planning/placement to organizations and businesses throughout Central and Upstate New York. 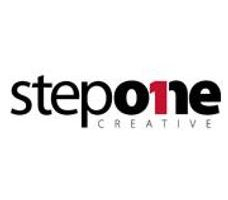 For more information on Step One Creative please call (315) 342-2554 or online at www.steponecreative.com. Ken’s Body Shop has been family owned and operated since 1951. Their 'State of the Art' equipment and repair processes allow Ken's to repair collision damaged vehicles as efficiently and cost effectively as possible. Their facility covers 17,000 square feet of work space and over 13 acres of property. KBS has always had a strong reputation among the Central New York community and Oswego, Fulton, Mexico, Pulaski, and surrounding areas. For more information on Ken's Body Shop, visit their website at www.KensBodyShop.com or find them on Facebook, Twitter, and Google+. GJP, an Oswego italian restaurant famous locally for it's Italian style specialty pizzas, calzones, pastas, rolls, and dinners, is the official restaurant of Proud Motorsports and the official fuel for driver Camden Proud on Saturday nights at Oswego. For more information on GJP Italian Eatery Oswego, please LIKE their Facebook page or text 24587 to join the GJP Club for exclusive offers and deals. Serving the Oswego County area since 1996, Oswego Quality Carpet has the best of the best in residential and commercial floor coverings. OQC offers a huge selection of in-stock and special order carpets, tiles, woods, laminates, vinyl and area rugs. Professional services and expert installations are provided at the lowest prices. Whether you're tackling the project yourself, or installation is needed, be sure to see Dave Hill and the team at Oswego Quality for all of your floor covering needs. Stop in today or phone (315)-343-1098. Established in 2011, the Beacon Hotel is a beautifully renovated historic building, located in the Franklin Square Historic District at the corner of West 5th and Bridge Street in downtown Oswego. In 2011, the entire facility was renovated both inside and out. Inside, new flooring was installed throughout. Original hardwood floors were refinished in both common areas, hallways, and some guest rooms. Outside the hotel, the entire exterior was freshly painted to compliment the area. Continued maintenance keeps the Beacon Hotel Oswego NY as a top pick in lodging accommodations. Book a room at BeaconHotelOswegoNY.com. Budget Signs is a CNY based sign and graphics shop located on New Court Avenue in Syracuse. Whether you're promoting your business, a yard sale, or a special occasion, Budget 1 Hour Sign Systems, Inc. helps you get the word out to friends, neighbors, and potential customers. Need your sign in a hurry? Budget's service is prompt and affordable, and helps you deliver big news at a small price. For more info, visit BudgetSignsOnline.net or call (315)-463-1274. Xpress Auto Care is a full-service preventative auto maintenance company with store locations in Oswego, Cortland and Nedrow. No appointments are necessary at Xpress Auto and their team of industry professionals take great pride in your customer experience, and believe strongly in providing a standard of excellence, or the Xpress Auto Care Advantage. Xpress Auto Care offers everything from full service engine oil change, power steering, pcv valve, air filter service, wiper blades, tire pressure, battery check, visual brake fluid check, windshield washer fluid, full service auto transmission, and more. For more information, visit xpressautocny.com. Opened in summer 2016 by Jason and Cheryl Accordino, Dino’s has quickly become established as one of the favorite quick service, dine-in, and delivery choices in Central New York. With impressive customer reviews continuing to take off online coupled with being the only establishment of its kind in the immediate area, Dino’s continues to thrive. Serving only fresh, never frozen Iowa Premium Black Angus Beef with deluxe burger menu choices that will make your mouth water, it’s taken Dino’s less than a year to come up with ‘CNY’s Best Burger’ as awarded by Syracuse.com. For more information and a full menu from Dino’s House of Burgers, visit Dino’s online at DinosHouseofBurgers.com. Formerly O'Connors Main Street Pub, 'Brandon's' Pub + Grille was established in July 2018 by local business owner Brandon Lagoe. Experience the charm of Fair Haven, NY and the Lake Ontario shoreline community in this authentic Irish Pub & Grille. Feel right at home with a cold pint of ale or glass of fine wine, and catch all the sports action on one of Brandon's flat screen TV's with a side of delicious food options that include burgers, wings, and much more. Brandon's. Great Food. Great Drinks. Great Pub Family. Visit BrandonsPubGrille.com for more information.